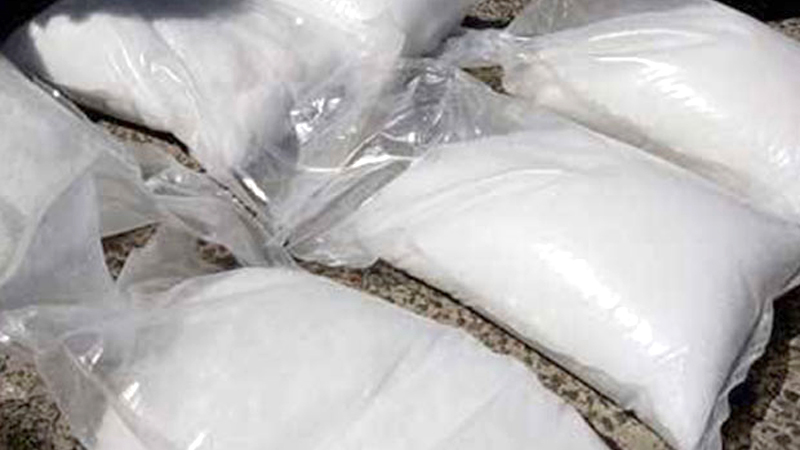 Nearly 720 kilograms of cocaine worth over Rs.10.9 billion seized by law enforcement agencies is to be incinerated today at a warehouse in Sapugaskanda under a directive by President Maithripala Sirisena. The stock which is cumulative of the seizures by Police, the Special Task Force and other agencies will be transported under tight security to a warehouse in Sapugaskanda where it will be diluted. This will be then taken to the Puttalam cement factory where it will be incinerated. The President is expected to be there to witness the historic event so will senior judges and police officers who assisted in the fight against the drug menace. This will be the second time that the government will incinerate drugs publicly. The authorities destroyed 928 kg (more than 2,040 lbs) of the drug last year, the largest cocaine haul in Asia, which was found in a timber container on a Colombian ship bound for India in December 2016, and represented part of more than 1,700 kgs of drugs seized in the past three years. The drug haul was destroyed under a special facility in a cement factory close to the country’s main airport last year.